When we think about testing of water softeners, we tend to think about softening capacity, salt efficiency and pressure drop. These are all very important performance attributes to consider when thinking about operation costs and impact on the plumbing system. We might also think about testing for safety of materials in contact with drinking water and structural integrity. No one wants a water softener that unintentionally contaminates the drinking water through leaching or one that fails due to leakage. 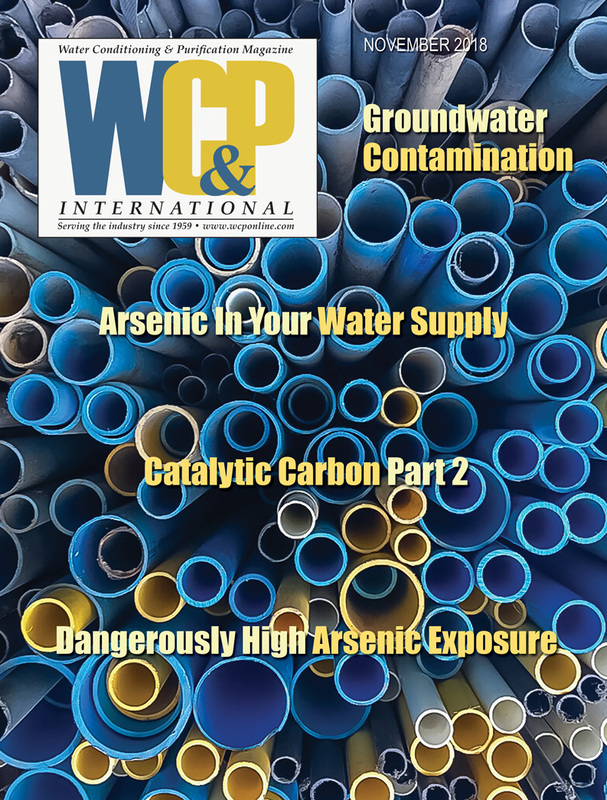 It makes sense, then, that these testing requirements are all included in the scope of NSF/ANSI 44 Residential cation exchange water softeners. Considering that NSF/ANSI 44 is the American National Standard for residential cation exchange water softeners, it seems natural that all of these criteria important to water softener design and construction are addressed. There is another requirement included in NSF/ANSI 44 (that may not be an obvious one) that immediately comes to mind. That is testing of the accuracy of the brine system. Has anyone ever wondered how accurate the salt settings are on a water softener? That is, when you set the softener to deliver six pounds of salt, did you ever wonder if it is really delivering six pounds of salt? How would anyone know? Maybe you could count the number of regenerations possible after filling the brine tank with several bags of salt. But how much salt was in there to begin with and how accurate is the weight on the bag? Whether you have thought about this before or not, you can be reassured that this very subject is indeed addressed under NSF/ANSI 44. It actually requires that the amount of salt delivered must be within ±15 percent of the stated value and includes testing methods to determine whether the softener meets this requirement. NSF/ANSI 44 describes two different scenarios. The first is for time-controlled softeners, which use brine that is at least 90-percent saturated. This scenario requires that a brine refill be completed and then a brine soak-time (as specified by the manufacturer) of ± 5 minutes be allowed. A sample of the brine is collected and a hydrometer is used to measure the salinity. Two more measurements of salinity are conducted and the average value is calculated. This sequence of brine refill, brine soak, sampling and salinity measurements must be repeated at each salt setting used for softener capacity testing. Once this is done, a container with enough water to cover the bottom of the brine valve is placed on a scale and tared. The salt dosage on the softener is set per manufacturer’s instructions and the brine fill-cycle is started. During brine fill, the water is collected in the container on the scale. The weight of the brine fill-water is recorded (Wf). Then, the brine draw-step of the regeneration cycle is initiated. Upon completion of this step, the weight of the remaining water in the container is recorded (Wr). The weight of the salt dosage can then be calculated through the formula in Figure 1. This procedure is repeated twice more and the average value is used to assess pass/fail. These steps are then repeated for each salt setting used for softener capacity testing, with pass/fail being assessed at each salt setting. 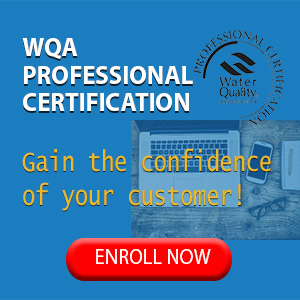 The second scenario for testing covers float-controlled softeners or time-controlled softeners that use brine that is less than 90-percent saturated. This procedure is quite straightforward. 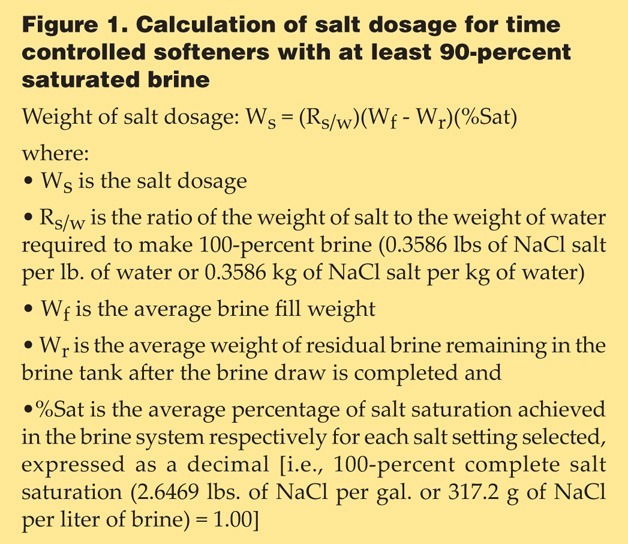 Either the brine tank or the whole softener (if it is a cabinet model) is placed on a scale. An initial regeneration cycle is run. After that, enough salt to cover five more regeneration cycles is placed in the brine tank, such that there is dry salt above the water in the brine tank. The salt dosage on the softener is set per manufacturer’s instructions and a regeneration cycle is initiated. At the completion of the brine draw, the weight of the brine tank is recorded. For cabinet models, the weight is recorded after the completion of the regeneration rinse operations but before a refill of the brine make-up water occurs. 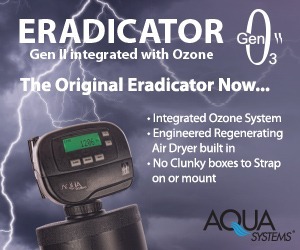 For softeners that refill the brine make-up water at or near the end of the regeneration, a 16-hour period is allowed for brine formation prior to initiating a subsequent regeneration. 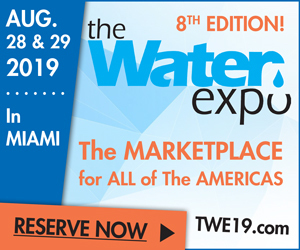 For softeners that refill the brine make-up water as an initial step of regeneration, the 16-hour period is omitted and a subsequent regeneration is initiated. The weight of the brine tank or complete softener shall be recorded at the same point of the regeneration process as was done in the initial regeneration. The difference in weight between the initial and the subsequent regenerations is the amount of salt used. This procedure is then repeated three times, with the average value being used to determine pass/fail. 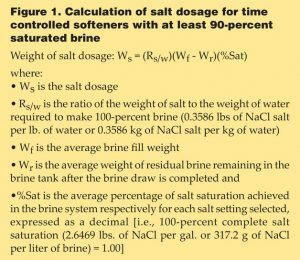 If the complete softener is being weighed, the result of the initial measurement is not used and exhaustion of the softener is not allowed to occur between salt dose measurements. This minimizes the effect of any change of the cation exchange resin weight. These steps are then repeated for each salt setting used for softener capacity testing, with pass/fail being assessed at each salt setting. When we step back and look at NSF/ANSI 44, we can see that it is a very thorough standard covering all of the relevant and important aspects of a water softener. Some of these are immediately obvious: the ability to soften the water, softening capacity, salt efficiency, pressure drop, etc. But also included in the comprehensive assessment required by NSF/ANSI 44 is a test of the accuracy of the brine system, to be assured that the intended amount of salt is being delivered when a specific salt dosage is in place. This is important even for self-adjusting softeners that use algorithms to deliver specific amounts of salt and change the salt dosage based on usage patterns. If the softener thinks it is delivering four pounds of salt to assure that a family will not run out of soft water, then it is important that four pounds of salt is delivered. The next time you describe the benefits of water softeners that conform to NSF/ANSI 44, consider the evaluation of brine accuracy to be another item in the toolbox of benefits. It may not be the most obvious, but it is important, nonetheless.